The Union Theological Seminary offers a variety of programs to the community. Specifically, The Edible Churchyard was borne out of (UTS) visionary recognition that ecological justice in an integral and inseparable aspect of social justice. 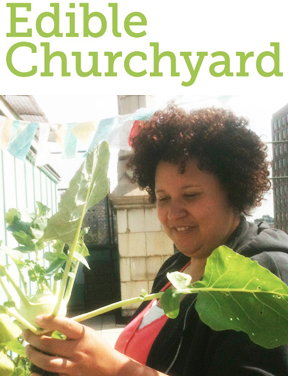 The Edible Churchyard is growing into an experiential, place-based learning laboratory. The program utilizes growing spaces and edibles to engage the community about food, eating, and justice. The Union Theological Seminary Edible Churchyardenhanced their existing composting program in order to reduce the seminary's solid waste, produce compost for their rooftop garden, and educate the seminary campus community on the benefits of composting. Winner of Manhattan SWAB 2012 Composting Grant Award.